Q1- What is "Tea House"? 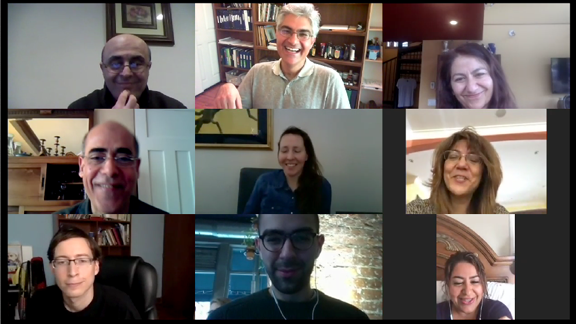 "Tea House" is a weekly hour where we hangout and talk about the art of Persian calligraphy; you will meet your "virtual-but-real" classmates /fellow artists that you otherwise never meet and get to know them and share ideas with them. We will all learn from each other, inspire each other and get inspired by each other. Q2- Do I have to attend? No, you don’t have to. "Tea House" is not mandatory. If you are invited you are encouraged to attend if you can... and it's OK if you couldn't this week, then just join us next Sunday. Q3- I didn't receive an invitation but I'd like to join; who do I need to talk to? We welcome people who step forward! If you are interested in joining a “Tea House” session please contact Payman Hamed at phamed@persiancalligraphy.org or call Payman directly at +1 818 745 7407 to coordinate. 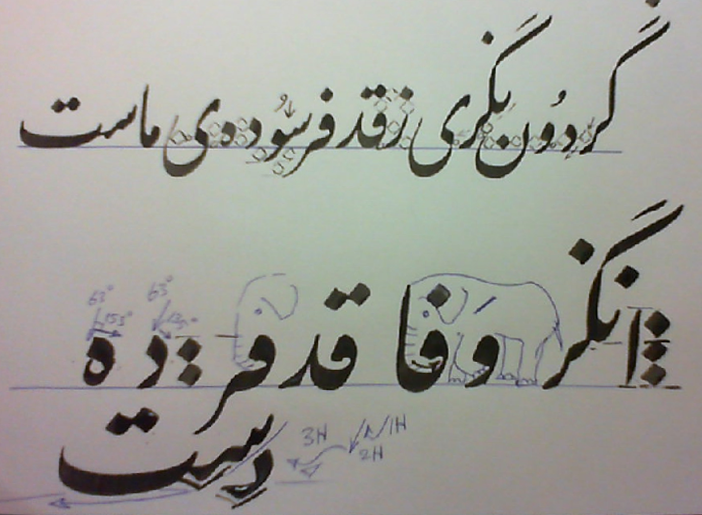 Q1- I Don't Speak Persian (Farsi); Can I Still Learn Persian Calligraphy? Absolutely!" You would not need to know the language to learn the art of calligraphy as all the lessons come with translation and transliterations. 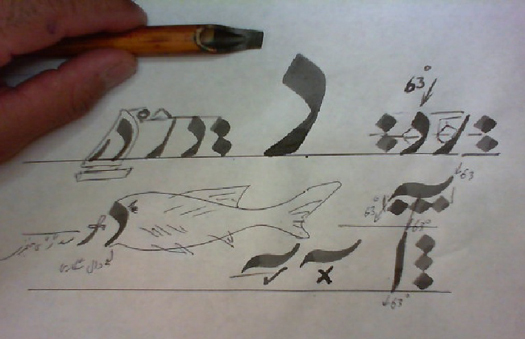 Nevertheless, as a by-product of the process you will pick up some Farsi as you practice your Persian calligraphy. Q2- How About Calligraphy Tools/Supplies; Where Can I Get Those From? You will receive a complementary preliminary calligraphy tools packet as you sign up for semester SA. This Package will include four pens and silk and instructions on how to set up your inkwell. You will also receive recommendations for ink and paper. You may order additional pens, silk, etc. 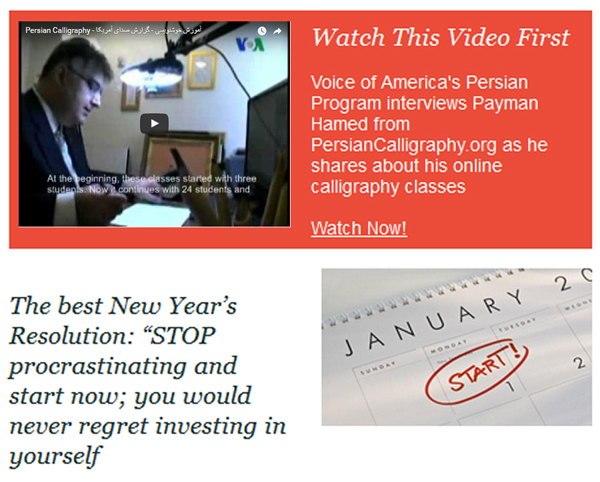 from the online store on PersianCalligraphy.org once you need more calligraphy tools and supplies. Q3- Is There Any Discounts or Financial Assistance Available? Yes; Students, veterans, and senior citizens would receive a %10 discount by submitting a valid ID. We also offer payment plans at %0 interest rate and with no finance charge. You can sign up for a recurring payment plan and pay as low as $10/week for semi-private classes or $20/week for one-to-one classes. Looking forward to seeing you in the classes; thank you and have a wonderful Spring season!